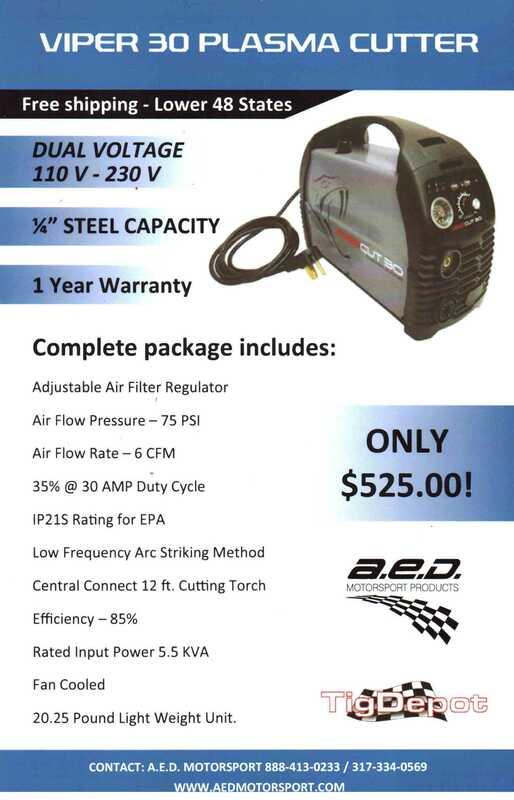 Dual Voltage Plasma Cutter Now On Sale! The Viper 30 Plasma Cutter is designed to run off of either 110 volts or 230 volts. Perfect for the portable professional or at home fabricator. Only $525.00 Call or Email A.E.D. to get yours today!